A GLOBALLY unique natural trace and beneficial element deposit located in Ravensthorpe may be the answer to soil nutrient needs after the drain of previous season’s record yields. 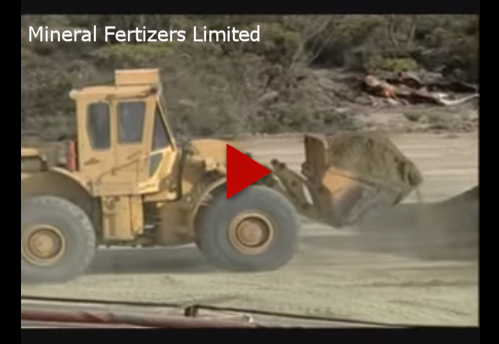 The Mineral Fertiliser Company (MFC) provides bulk mineral supplements for large-scale operations throughout the State from its Ravensthorpe base. Originating on the site of the Elverdton copper mine, which closed in 1971 due to low copper prices, the mineral laden deposit was reinvigorated in 1996 by primary producers Gale and Mark Williams, who realised its incredible potential as a mineral fertiliser. Historically mined for metal production, gold, silver and copper rich fertiliser, it was unknown until recent years of the rare mineralisation of the mine resource. Geologists confirmed the mineralisation of Elverdton copper mine occurs in granitic and volcanic rocks of archaean age, a deposit abundant in essential and trace elements unique to Australia. These elements were found in the original mines resource – now a stockpile of more than one million tonnes. As a result, the mineral abundant deposit environmentally recycled by MFC is certified free of heavy metals. In fact MFC products are certified organic under Australian standards. 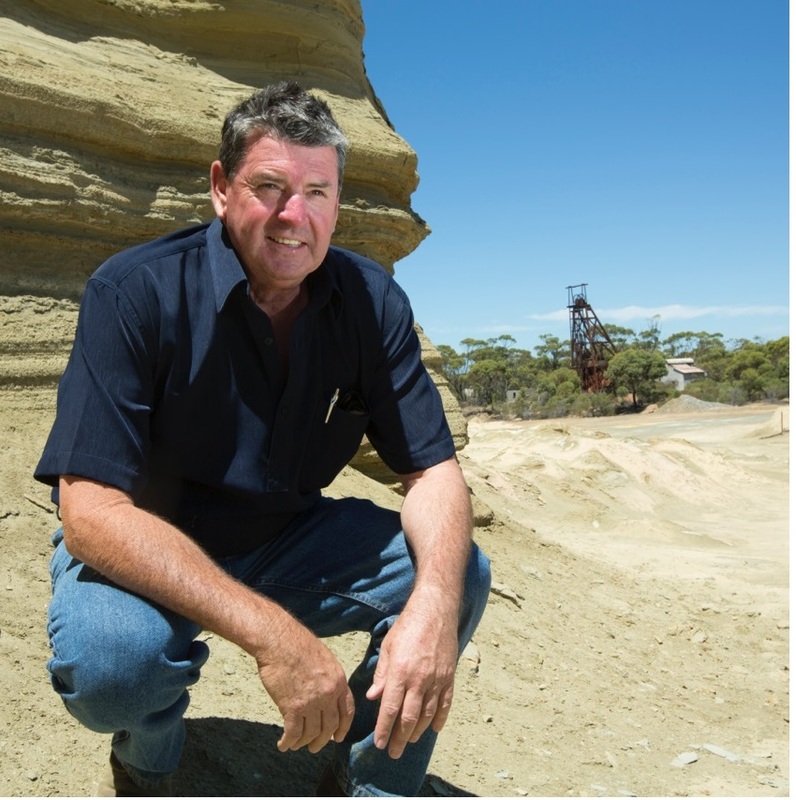 The mine now supplies producers throughout the State with Supermin mineral fertiliser, delivering a specific mix of essential elements to soils, including magnesium, iron, copper, calcium, sulphur, potash, boron, zinc, manganese, molybdenum and nickel. 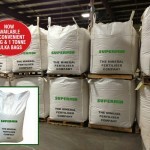 In total, the Supermin mix naturally provides a plethora of 20 minerals. A recent update of the mineral composition of the Supermin product revealed the rare earth minerals lanthanum (La) and cerium (Ce) to be present at levels to advantage crops at risk from moisture stress, as outlined in research carried out by Rural Industries and Development Corporation’s impact of rare earth elements on plant physiology productivity (Publication Number 01/45 Project Number DAV - 122A). After a season of huge yields, soil reserves of essential minerals may have been depleted giving cause for a top-up to maintain optimum productivity in the coming year. Statistics reveal that 1.8 per cent of all grains are mineral. With an estimation of the State’s harvest weighing in at 16 million tonnes, 300,000t of that are direct elements taken from the soil. “These figures are from the 12 minerals we knew as being essential in the 1970s,” Mark Williams said. Sandplain soils of the State particularly prone to element deficiency are a prime beneficiary of Supermin, which has the ability to address several key areas involved in the sustenance of plant growth. The prevalence of nickel and iron are essential for the release of urea to crops and pasture. “There is no use replacing or increasing nitrogen, phosphorous and potash levels if there is a deficiency in iron, copper or nickel,” Mr Williams said. Calcium levels in the product act as a conduit. “All minerals need to travel on the back of a calcium ion,” Mr Williams said. 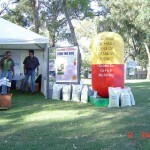 MFC supplies more than 100 clients with the bulk mineral fertiliser. These include livestock, grain and tree producers. The company also supplies base to a major fertiliser company, Perth-based home garden and new homes companies as well as producing a line of product for home gardeners. For several years the mine also supplied CSBP. The company sells about 5000t- 6000t annually. “We supply State-wide and can organise freight discounts on distance, as well as discounts on larger bulk orders,” Mr Williams said. He said they advised all clients to do thorough soil testing with an independent laboratory. “The best fertiliser has been said to be the sole of a farmer’s boot,” he said. Most of MFCs primary industry clients are return clientele and have been with the company since inception after witnessing production improvements. “It’s all about looking after what you have,” Mr Williams said. “Lots of our clients have stopped trying to extend acreages. Mr Williams said the future was bright. He said recent mineral exploration had resulted in the discovery of a new underground resource estimated at more than 10 million tonnes of high grade copper ore.
“The new deposit will be started on in a few years,” Mr Williams said. “We will possibly bring in a higher grade line as well as blend. “There may be possibility for a granulated product as well. 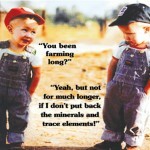 The life of the mine in agricultural terms is endless". “We have a growing world population which is forecast that we won’t be able to feed.